Richard Ellis Design is a specialist supplier of custom hand-carved marble and limestone fireplaces and fireplace surrounds. Richard Ellis Design has over 35 years' industry experience working with a diverse range of architects, interior designers, decorators, and builders. Our completed projects span across Australia, and have been featured multiple times in publications such as Belle Magazine, Vogue Living, Grand Designs Australia, Habitus and House & Garden. 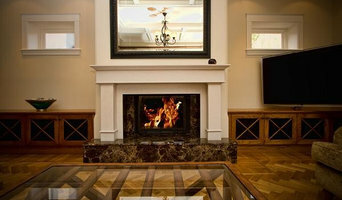 The Gas Fire Log company are Melbourne leading supplier of gas log fireplaces. We stock all reputable brands including; Jetmaster, Heat & Glo, Real Flame, Regency, Heatmaster, Quadra Fire, Heatilator. We invite you to view our portfolio of products, as well as peruse our recently completed projects. As a highly reputable organisation in Melbourne, our business has proudly been designing and installing gas fireplaces Melbourne for over 20 years. At The Gas Log Fire company, our friendly team of fireplace experts will guide you every step of the way until your project is completed. We will consult and design you a fireplace solution that will not only complement your home and meet your lifestyle needs but one that also accommodates your available budget. We can also provide you with guidance and expert advice on walls, cabinetry, stone, mantels, electrical, plumbing, gas-fitting, plastering, carpentry and painting. We can also help you with any alterations you’re looking to make to your existing brickwork, stone, marble, granite, frame outs and tiled hearths. We also offer servicing, maintenance and repair of all Jetmaster, Heat & Glo, Real Flame, Regency, Heatmaster, Quadra Fire, Heatilator heating products. For a FREE in home consultation with one of our professional team members, please call us today on 1300 373 745. Regency Fireplace Products are a manufacturer of premium gas and wood burning fireplaces. Founded by Robert Little just outside of Vancouver, Canada in 1979, Regency Fireplace Products has proven to be a world leader in the design, manufacture and marketing of hearth products. What started with Robert designing and making wood stoves in a garage, soon grew to a sophisticated manufacturing and marketing organization of more than 300 employees; supplying over 2000 retailers across North America, Europe, Japan, China, Australia and New Zealand. We believe in the four cornerstones of great fireplace products: high quality, good value, clean burning efficiency, and beautiful aesthetics. Simply put, we are a big team of designers, creators, marketers and innovators working together to achieve a common goal: creating quality products that bring people together. Sculpt Fireplace Collection is an Australian owned company who exclusively supply some of world’s most sought after high-end luxury fireplaces. Intent on providing Australians with a dynamic collection of designer fires, Sculpt fireplace collection has strategically gathered not only award winning fireplace designs, but also fireplaces that have been manufactured with high quality materials and the best raw steel that is built to last. Wignell's have been providing quality heating and cooking products for over 60 years. We are the national distributors of Cheminees Philippe French fireplaces which have been heating Australian homes for over 30 years. They are loved for their quality cast iron construction and heating efficiency along with their retractable door which makes them so appealing as both an open fire or safe, efficient slow combustion heater. Available in single, double, triple and corner style fireboxes heating between 180 up to 350 square meters. They feature in a number of Australia's award winning homes, cafes, hotels and B & B accommodation. 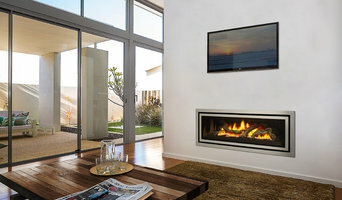 Melbourne based contemporary fireplaces retailer. We are home of the Focus, Skantherm, Invicta and Stûv brand in Australia. We love sparks, heat, warmth, flickering flames... and all things design! Hallett Stonemason offer exclusive hand carved custom made surrounds, already made mantels and antique marble fireplaces. We have longstanding expertise of 5 generations. Our other services include restoration of antique marble fireplaces, dismantling and installation of surrounds. My name is Wade, and I’m the tradesman operating as WM Landscapes. Starting in the trade at 17, I quickly took up the opportunity for an apprenticeship after finishing high school. After gathering experience working for large landscaping companies in Melbourne, I went to the UK to broaden my life experience, where I worked with a carpenter and refined my timber skills. Upon returning to our beautiful Melbourne, I decided to take the plunge and build my own business and the lessons roll on with each and every day. Woodpecker is a Melbourne based company who specialises in heating, cooling, fireplaces and Weber bbqs. Through trustworthy products, expert assurance and quality installations, we believe in creating the perfect environment to make your house a more comfortable home. Cheminees Philippe Australia award winning beautiful fireplace designs are leaders in heating innovation, creative design ideas and solutions. With many designs and styles to choose from they complete the open fireplace in your home. Working with some of Australia's leading architects, interior designers and builders we now feature and showcase some of our most inspirational design ideas from Australia. Cheminees Philippe Australia is fully Australian owned and managed by Wignells of Melbourne. Wignell’s are the exclusive representative and direct importer of the products of Europe’s leading manufacturer of cast iron fireboxes: Cheminees Philippe. Since 1982 Cheminees Philippe Australia have built up a network of distributors throughout Australia dedicated to ensuring all our clients are completely satisfied with our product and services. Cheminees Philippe fireplaces are 100% designed and manufactured in France. Cheminees Philippe is extremely proud of its reputation for being the first manufacturer of a ‘dual opening’ firebox with the choice of both excellent slow combustion heating and the ambience and warmth of an open fire. Since our establishment in 1977, we here at Flues & Fires have been dedicated to providing Australian families with the best heating solutions. Whether you are on the lookout for outstanding wood, gas or electric fireplaces, the experienced team here at Flues & Fires are always more than willing to help you out. With over 40 years of experience in this field, this family run business will provide you with a complete service from start to finish. From the moment you step through our doors, you will understand why so many people are pleased that they discovered Flues & Fires. We are located in Thomastown, Melbourne. Come visit our showroom and share your ideas with the wonderful staff here at Flues & Fires. We see it as our mission to satisfy your heating needs. Whether you are looking for fireplaces, heaters or ovens, we are committed to finding a one that is perfect for you. From a contemporary or a more traditional style; we will find something to match your tastes. Supplier of Europe's best outdoor grills and barbecues now available in Australia for the first time. Fireplace designs vary, whether you are looking for a minimalist gas fireplace or a large outdoor fireplace. Hearths and fire pits can transform your backyard and offer an entirely new focal point in your Notting Hill, Victoria property. Really feeling original - try a chiminea! Chimineas bring the warmth and ambiance of wood fireplaces to any outdoor entertaining area. Since wood smoke contributes to air pollution, many cities have banned the use of wood-burning units. 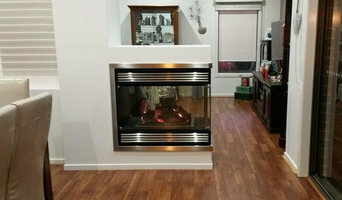 If you’d like to buy a wood burning unit, check the Notting Hill, Victoria city policies first. If your home already has a wood-burning unit that you’re concerned about, contact a fireplace manufacturer to replace your wood-burning unit with an environmentally friendly electric or gas alternative. Gas inserts can be efficient heaters and may lower your electric-heat bill. Many adjust to provide high heat on a cold night or a low-burning flame for ambience. 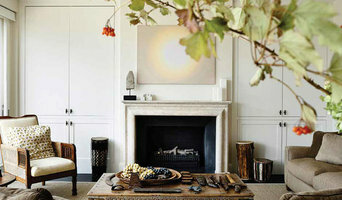 Interior fireplaces and mantel designs are as varied as home interiors. From custom fireplace mantels made to conceal a flat-screen TV to custom hearth designs with elaborate Renaissance-style stone mantels, the latest designs can be found by visiting Notting Hill, Victoria fireplace showrooms. 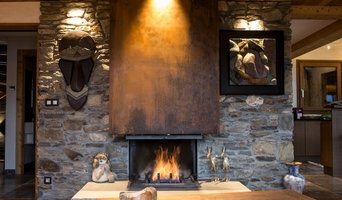 Find fireplace manufacturers and showrooms, plus fireplace installation professionals, on Houzz. Go to the Professionals section to find Notting Hill, Victoria fireplace design and installation experts.